Thank you Karen for the cool test info! Here's my results. Sleep deprivation and snotty kid noses bring me down, I'll admit it. Especially when the weather is grim and the kids have pent up energy, a sick day for a kid can be miserable. And there's only so many hours one can play Battleship , after all. Well, if they're miserable already, make 'em learn something! Bwah ha ha ha! This week was our first as a foster family for a pup named Hugh from the Humane Society of Indianapolis. We got our two beagles from them, and were so impressed with their care and compassion for the animals that we decided to participate in their foster dog program. In brief, the program places animals who for one reason or another (health or behavior) wouldn't do well in the shelter environment; the animal is cared for at a foster home until a forever family is found. I started posting Hugh's info on craigslist.org and also at petfinder.com; since then, I received a bunch of scam offers for pet purchases involving shipping as part of an advance fee fraud scheme. Nasty mean scammers. So I won't be doing that again. If you are considering adding a new pet to your home, please check out a shelter dog. The variety of personalities, ages, sizes, and breeds at a shelter mean that there's likely a match for any animal lover. And usually the fee is much less than what a pet store or breeder would charge, if cost is a concern. But mostly we're busy this week not posting things online but instead working with Hugh and getting him socialized. Hugh is an affectionate, adorable but painfully shy little guy with huge feet! I've so enjoyed watching him come round this week. I have been eagerly anticipating the release of George R.R. Martin's A Dance with Dragons for most of 2007, and to assuage my waiting time I opted to re-read the series up to this point. No news yet on when the book will be ready. Sigh. Although there are some wonderful sample chapters available on his site for Danny, Jon and Tyrion. Most reviews of this book focus on its epic length and long list of characters. All true. If you're looking for a quick set of entertainment, move along. If you like the Chronicles in Amber, Dune, or other dynastic-lengthy series, you'll probably like this. Did I say probably? I meant "surely." Or else you're a grumpkin. 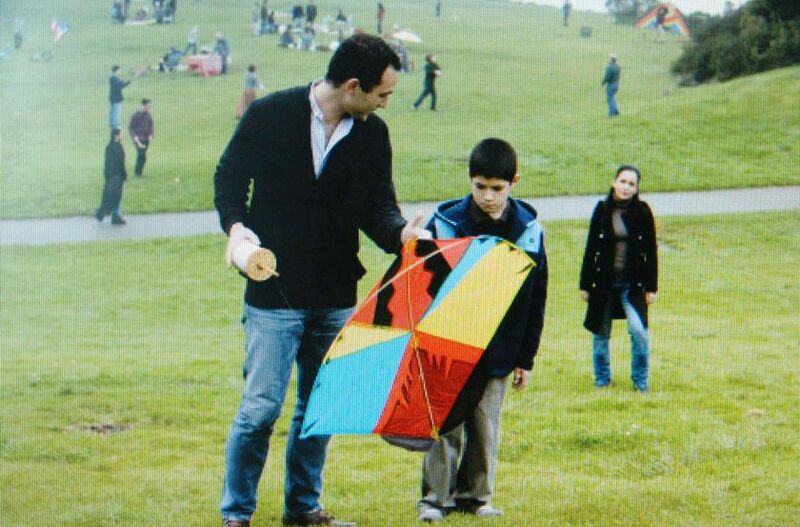 I read The Kite Runner recently by Khaled Hosseini. Melanie Klein would have had a field day with this one's themes of guilt and reparation, and throughout the book I reflected on her philosophy of child development and how that was represented by the characters in Hosseini's moving story. In brief, two children of different social classes are playmates; and as the higher-classed child is exposed to his peer's derision, he begins to abandon his first friend. As this process of separation is going on, and during what should have been one of the finest moments of his childhood, his friend is attacked and he takes no action to stop it. From victory, he snatches bitter defeat. For many years after he is haunted with shame and regret over his actions; then he is finally provided the chance to redeem himself. But the task given is much harder; the bill of guilt has come due with interest. I was captivated by the story, the view into Afghanistan of years past, and hopeful for the hero's triumph. I recommend this book to anyone who would enjoy seeing a triumph of hope over bitterness and self-recrimination. Hosseini recently had a Newsweek Article titled Don’t Give Up on Afghanistan which is a good read as well, for providing context in the rich complexity of this region and for the monumental task the Afghanistani people have ahead of themselves.